Aerojet Rocketdyne is a world-recognized aerospace and defense leader providing propulsion and energetics to the domestic and international space, missile defense and strategic systems, tactical systems and aremaments areas, and transformational energy technology solutions to address the world’s energy needs. GenCorp is a diversified company providing innovative solutions to its customers in teh aerospace and defense, energy and real estate markets. Additional information about Aerojet Rocketdyne and GenCorp can be obtained by visiting the companies’ websitees at www.Rocket.com and www.GenCorp.com. Advanced Cooling Technologies, Inc. (ACT) is a premier thermal management solutions company. We serve customers in diverse markets including Aerospace, Electronics, HVAC and Energy Recovery, Let Thermal Management and Temperature Calibration and Control. Our highly engineered products include Heat Pipes, Heat Exchangers and Cold Plates. Our diverse R&D and Technical Services programs range from developing thermal protection materials for space reentry vehicles to investigating nanoscale heat transfer in next generation electronic devices to designing high temperature heat recovery systems for industrial processes. Innovation, Teamwork, and Customer Care are our core values that drive the continuous growth of our company. 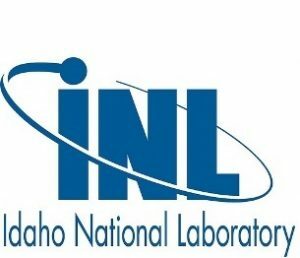 Idaho National Laboratory and the Universities Space Research Association created the Center for Space Nuclear Research (CSNR) in 2005 to foster collaboration with university scientists. CSNR scientists and engineers research and develop advanced space nuclear systems, including power systems, nuclear thermal propulsion, and radioisotopic generators. The CSNR is located at the Center for Advanced Energy Studies (CAES) building on the INL research campus. Idaho National Laboratory (INL) serves as the nation’s command center for andvanced nuclear energy research, development, demonstration and deployment, and is home to the unparalleled Advanced Test Reactor and allied post-irradiation examination, fuel fabrication and materials testing and development assets. Leveraging these numerous other distinguishing features, the lab and its more than 3,500 scientists, engineers and support personnel build on the potential and promise of the theoretical for the benefit of the real world. INL is one of only 10 multiprogram national laboratories owned by the U.S. Department of Energy. Geographically, INL is the largest lab – its nearly 570,000-acre desert operations site also serves as a national enivironmental research park. As with its sister laboratories, INL performs work in support of DOE’s mission – to ensure America’s security and prosperity by addressing its energy, environmental and nuclear challenges through transformative science and technology solutions. The UK’s National Nuclear Laboratory (NNL) offers a unrivaled breadth of technical products and services to our customers across the whole nuclear industry. Covering the complete nuclear fuel cycle from fuel manufacture and power generation, through reprocessing, waste treatment and disposal including defense, new nuclear build and Homeland Security. NNL provides these services supported by academia and other national laboratories. NNL’s facilities are second to none. The Central Laboratory at Sellafield is the most modern nuclear research facility in the world. The Windscale Laboratory provides Post-Irradiation Examination (PIE) and other services critical to plant life extension. At Workington, NNL operates a non-radioactive test rig facility and at Preston NNL operates a uranium active chemistry laboratory. NNL also has staff at the Risley, Stonehouse and Harwell sites providing Head Office functions, graphite technology, radiation chemistry and modeling/simulation. The National Aeronautics and Space Administration (NASA) Radioisotope Power Systems (RPS) Program, in partnership with the Department of Energy (DOE), is ensuring the United States will remain the world’s leader in nuclear power for space exploration enabling scientific discovery for years to come. RPS is investing in both Thermoelectric and Dynamic Power conversion technologies, making critical advances in technology maturation and power systems development, such as a potential enhanced Multi-Mission Radioisotope Thermoelectric Generator, to provide a more efficient system to power a spacecraft. Under RPS-funded Production Operations, NASA gains insight into the processes DOE executes, including work that resulted in the first new U.S. production of the Heat Source – plutonium dioxide since the 1980s. This renewed capability is enabling the RPS Program to support future NASA missions such as the upcoming Mars 2020 mission and potential New Frontiers or Discovery opportunities. On behalf of the ANS Aerospace Nuclear Science & Technology Division and the Florida ANS Local Section, we thank the individuals and organizations who are interested in contributing to NETS 2017. Your support will go a long way in ensuring that we foster a successful forum for the sharing of the most current advances in space applications of nuclear science and technology. Contributions can be conveniently made via PayPal. To contribute to NETS 2017, please follow the “Pay Now” tab below. Exhibitors have an excellent opportunity to engage a broad cross section of the aerospace nuclear community. This group will be gathering at the Nuclear and Emerging Technologies for Space (NETS-2017) meeting in Orlando, FL on February 27 – March 2, 2017. Attendees at NETS-2017 will include hundreds of engineers, scientists, and program managers from industry, universities, and government agencies. This meeting is large enough to make a positive impact on your organization’s bottom line or public presence, yet focused enough in its attendance that every visitor to your booth has a vested interest in the field. NETS-2017 is an excellent value for your exhibitor dollar. The NETS-2017 meeting will be held at the Orlando Airport Marriott which has over 29,000 sq ft of conference space. The spacious and open Exhibitor Hall will serve as the focal point for the entire meeting, maximizing your opportunities to engage potential customers. The Exhibitor Hall is located within the main ballroom where plenary sessions and dinner events will be held, in addition to daily coffee breaks (morning and afternoon). Booths are available for $1,000 each and include a six foot table with tablecloth, skirting, piping, draping, and electrical power. One full meeting registration is also included with the booth registration. The booth locations are first-come, first-served. Please reserve your spot early; multiple neighboring booth locations may also be purchased if available for large exhibits. We still have space available, but there is no guarantee, so please contact Delisa Rogers (delisa.rogers@inl.gov) soon if you’re interested.